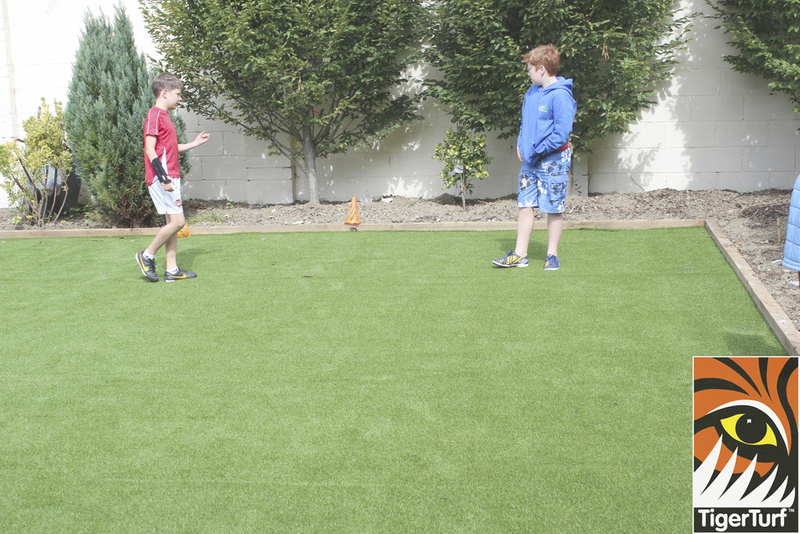 This installation was completed in May the ideal time to install your new TigerTurf lawn. Garden was shaded by mature trees with an overhead canopy. 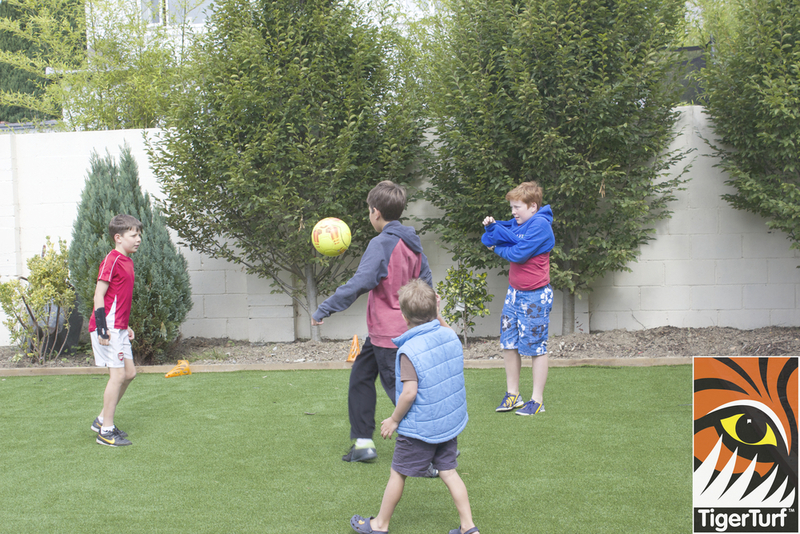 An active young family meant a play area was needed for after school activity. 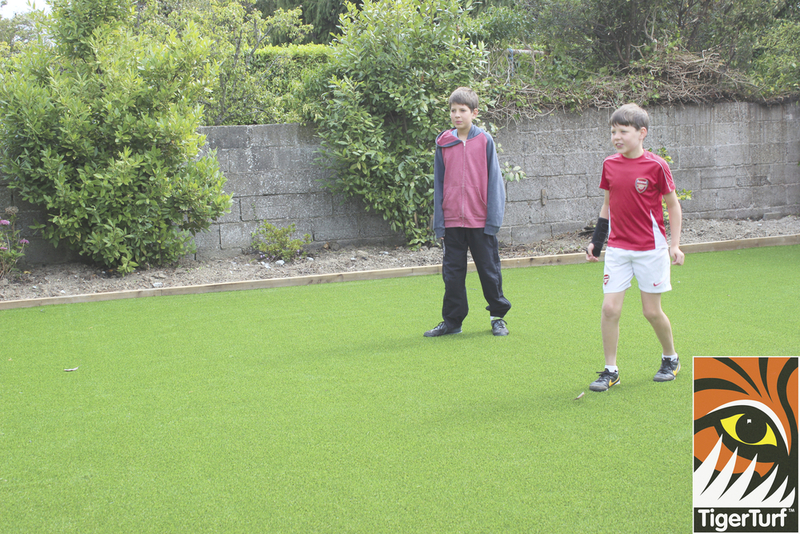 However the above factors meant keeping a lawn in pristine condition was a full-time and costly exercise. 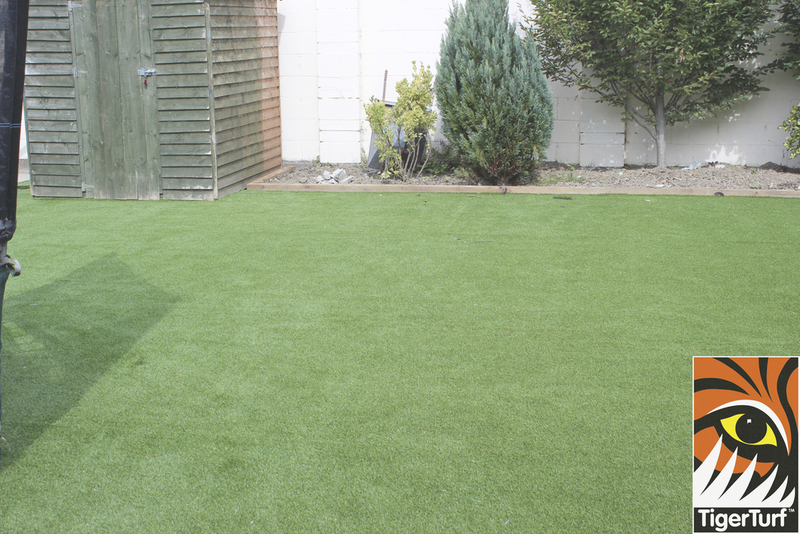 The owners are full time professionals who have minimal time for upkeep of their garden and lawn. 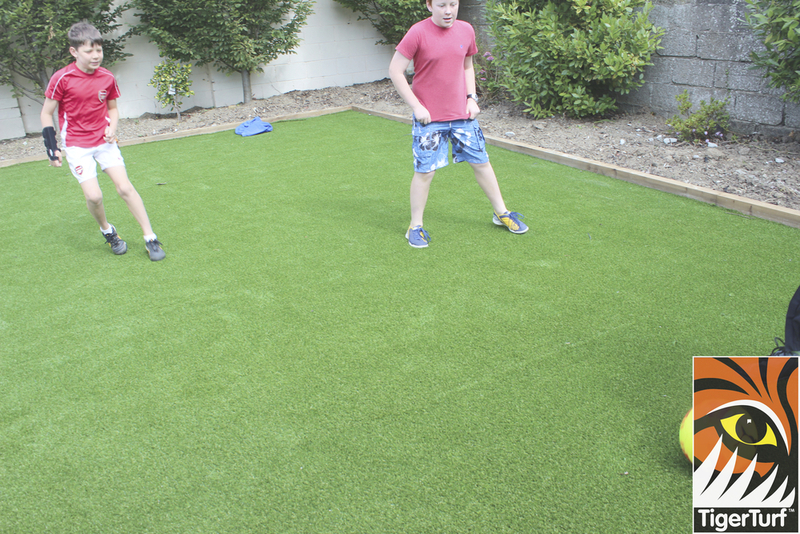 The fresh evergreen nature of this Vision Plus lawn was the perfect choice as it gives a year round turf area that feels like it was just cut yesterday. 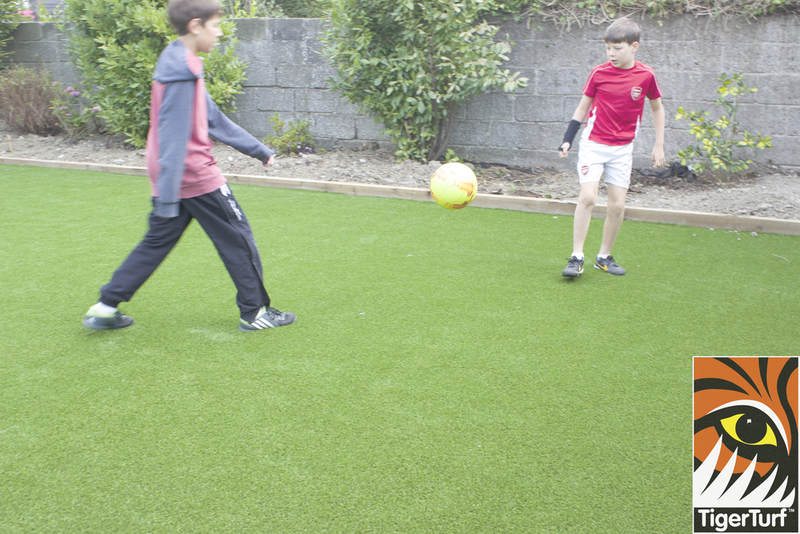 Client was delighted with results and recommended Tigerturf to her neighbouring friends and extended Family. 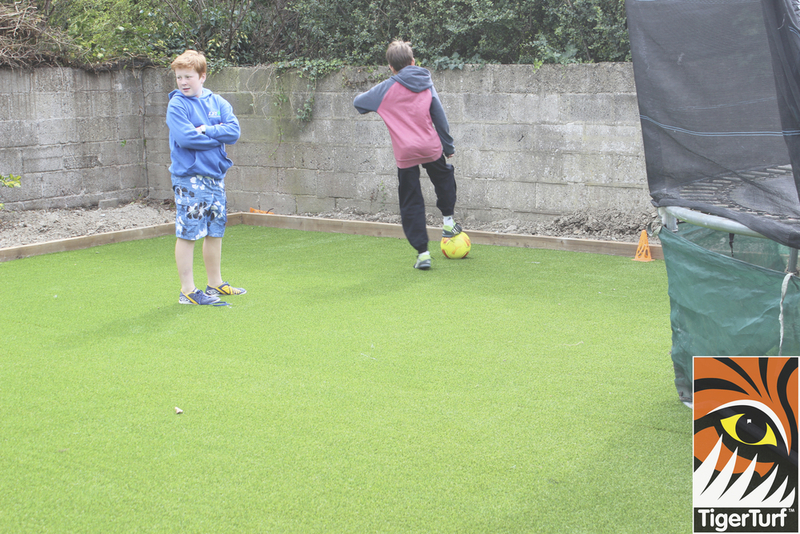 If you are considering upgrading your garden lawn with TigerTurf drop into our new Landscape Studio and Display area. 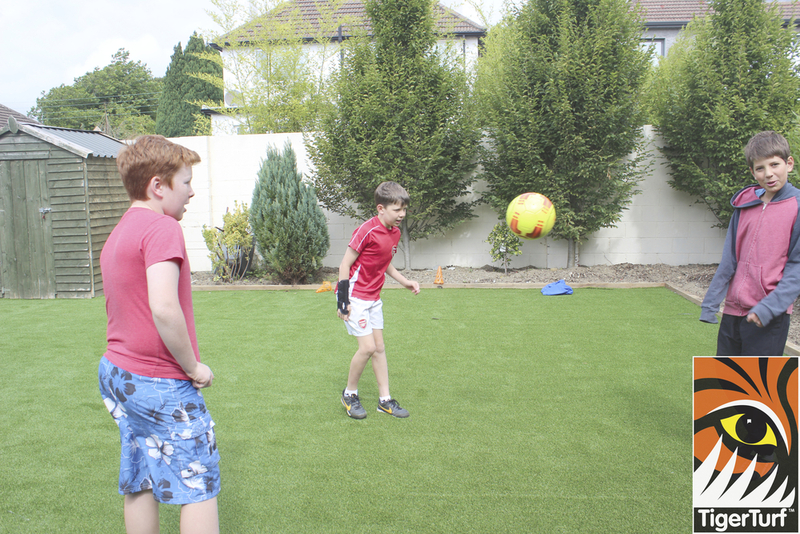 Located in Rathgar, Dublin 6 the showroom is 3 minutes from city centre and 11 minutes from M50. 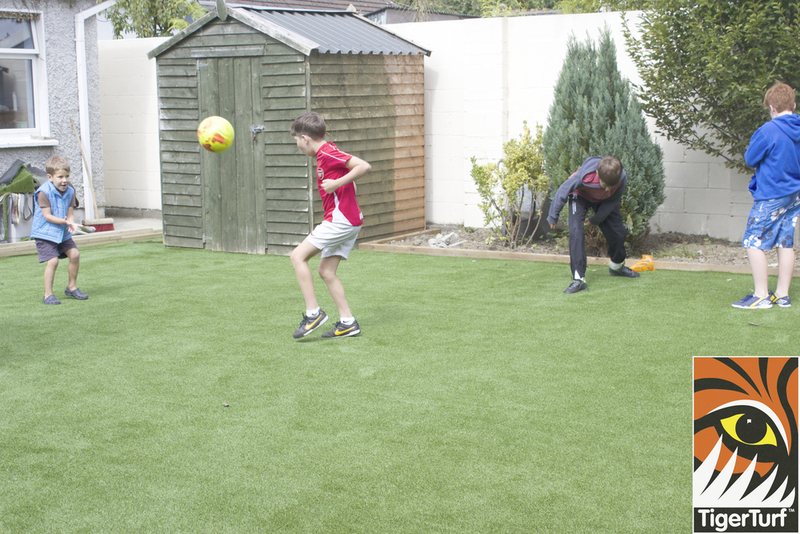 Take time to see which grass in our range suits your lifestyle. 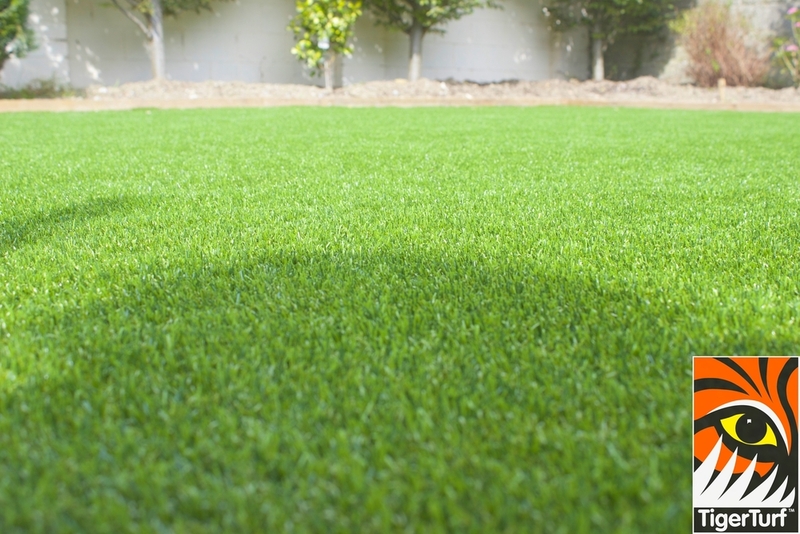 Or call us today for your free lawn consultation onsite!.